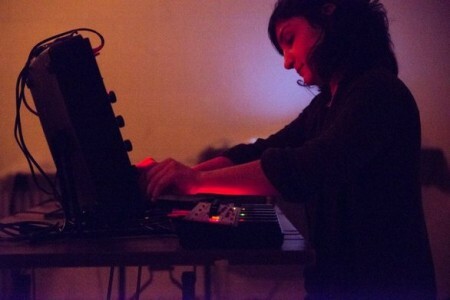 As a composer and performer of electroacoustic music, Canada-born Sarah Davachi‘s projects are primarily concerned with disclosing the delicate psychoacoustics of intimate aural spaces, utilizing extended durations and simple harmonic structures that emphasize subtle variations in overtone complexity, temperament and intonation, and natural resonances. The instrumentation she employs is varied, including analog synthesizers, piano, electric organ, pipe and reed organ, voice, analog samplers, orchestral strings, and woodwinds, with mutual idioms often layered in textural and timbral counterpoint. Similarly informed by minimalist tenets of the 1960s and 1970s, baroque leanings toward slow-moving chordal suspensions, and experimental production practices of the studio environment, in her sound is manifest an experience that lessens apprehension of consonance and dissonance in likeness of the familiar and the distant. Classically trained and rigorously de-trained, possessor of a restless, semi-feral spirit, Lori Goldston is a cellist, composer, improviser, producer, writer, teacher, and Seattle treasure. Her voice as a cellist, amplified or acoustic, is full, textured, committed and original. A relentless inquirer, she wanders recklessly across borders that separate genre, discipline, time and geography, performing in clubs, cafes, galleries, arenas, concert halls, sheds, ceremonies, barbecues, and stadiums.